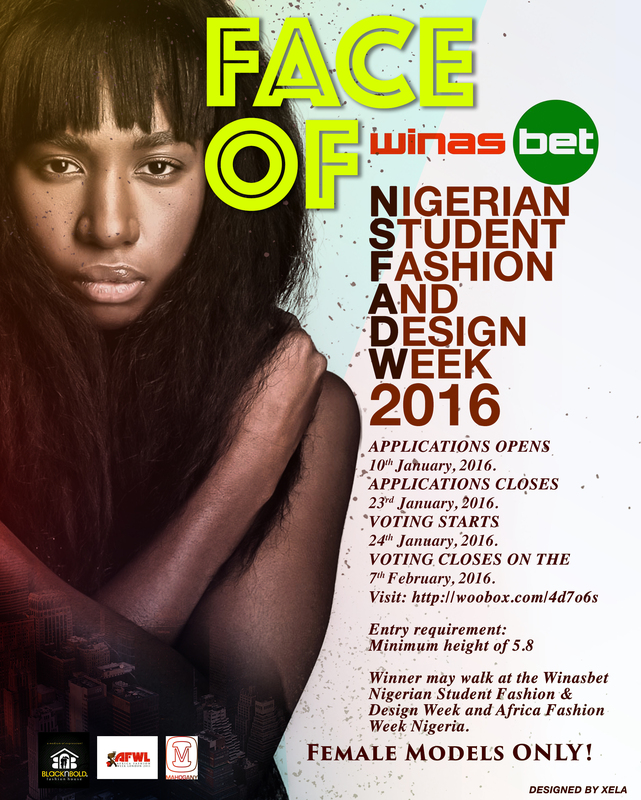 Winasbet Nigeria presents its first campaing for the year as The face of Winasbet Nigerian Student Fashion And Design Week. The contest for the face of Winasbet Nigerian Student Fashion and Design Week is aimed at creating more traffic and awareness for the event. Application is already ongoing and will end on the 23rd of January. This will be followrd by a voting process which will start the next day, 24th and ends on the 7th of February. NSFDW campaigns and may walk at Winasbet NSFDW and AFWN. This contest will also be published on notable blogs in Nigeria.